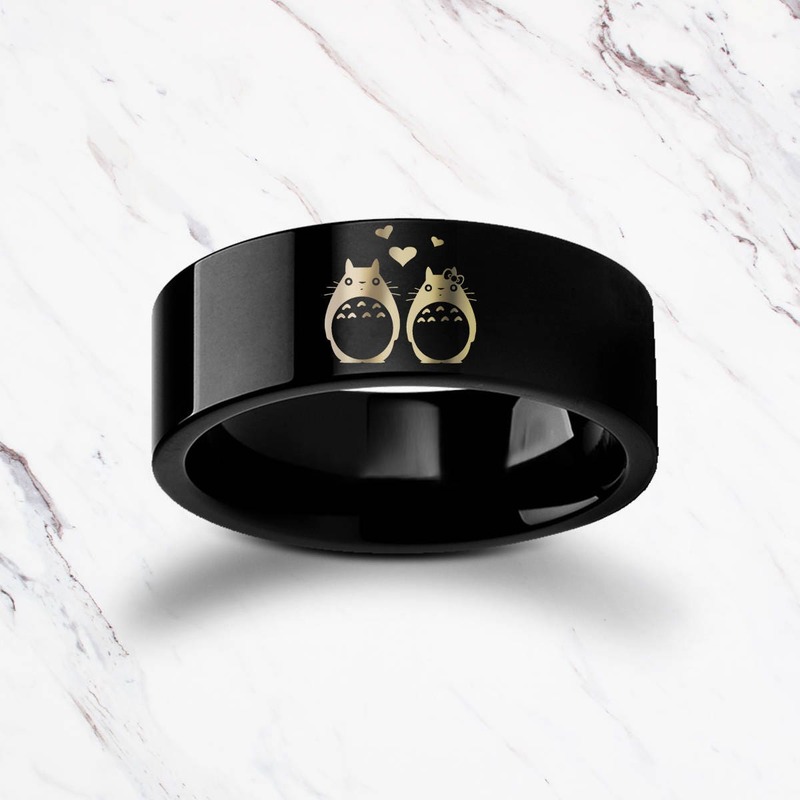 This is a flat polished black tungsten carbide ring with an adorable My Neighbor Totoro design featuring a couple in love. This is an awesome engraved ring for lovers of the anime. 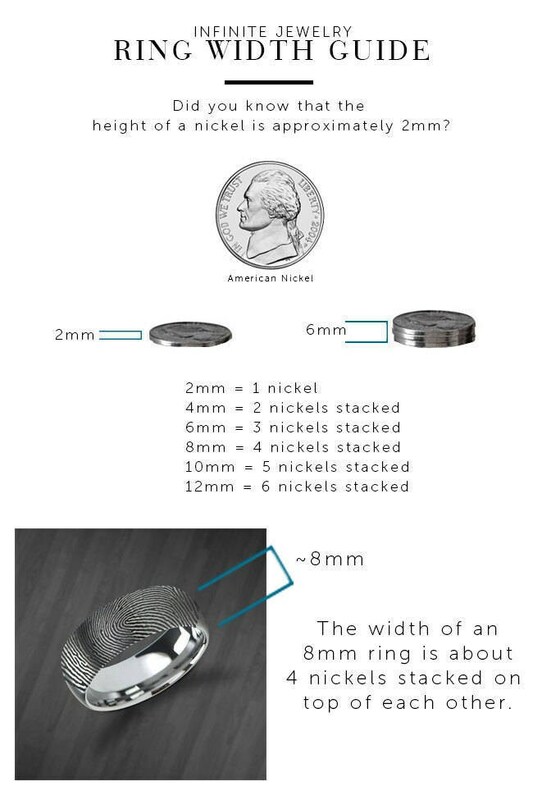 The design is engraved once by default but can be made to surround the entire ring as well. I ordered this ring as a valentines gift and was very pleased. The ring looked exactly like the picture on the website and the engraving was done nicely. Excellent ring which arrived very fast. I look forward to using it as a backup wedding band. Really neat! Stunning quality ring and blazingly fast delivery, seller was good as gold and extremely polite. We had a sizing issue due to customer error ( our bad ) but the seller got in touch soon as and resolved the issue without any hiccups and sent a replacement! Amazing service and supreme product!